It is nearly time for NaNoWriMo, the famous and popular National Novel Writing Month. Last year 431,626 writers attempted its crazy challenge to write 50,000 words in November. 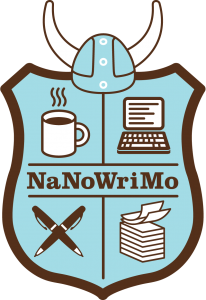 There is fantastic support from the writing community at the NaNoWriMo forums. Many towns and cities have ‘write ins’ in coffee shops where writers can get together and share news of their word counts, make new friends, and race to add words to their novel. It gives a focus, and let’s be honest most of us need a kick to get going! NaNoWriMo helps writers get words on the page. Some people shy away from this writing challenge because they fear they will create a first draft with flaws. It is true that speedy writing can lead to problems that take many rewrites to fix, but this doesn’t have to be the case. If you have a clear plan or story outline it’s possible to create a high quality first draft. Many writers do this, and many use Story Planner to help with their NaNoWriMo prep. We don’t believe in a one-size-fits-all approach to writing, we know every writer is different, so Story Planner offers many varied planning. Here are some methods that NaNoWriMo writers might use to plan their novel ahead of November. Know the bare bones of your story. Can you describe your novel in brief? If you know your story well and can describe your story simply in short form it’s more likely you’ll stay on track. When the pressure is on to write 1,666 words a day you may be tempted to write anything, just anything..! but if you know the core of your story you’re much more likely to write plot that matters, instead of drifting off track cialis generika deutschland. Many writers like the simplicity of the Once Upon A Time method to create a summary of a story, or you might try our log line generator that turns a few details about your story into a log line pitch. Write a novel outline or chapter plan. Can you draft a plan of your novel’s plot? Some writers like to write a summary of their story before they begin to write, we have a plan for writing a novel synopsis here. Other writers like to write a few notes on each chapter, or to use index cards to write plot points and move these around until they are right. Many writers like to plan story structure, and use popular methods such as Save the Cat story beats, or traditional three act structure. If these kind of plans for novel structure are your thing we have a varied collection of templates to ensure your story structure is right. Know your characters and world. Do you know your character’s well enough? Another way to be sure your NaNoWrimo project goes smoothly is to get to know your characters and story world. Story Planner offers a large range of plans to help you get to know your characters. You could outline each of your minor characters with our character blueprint, or explore your major characters in our most detailed character profile. If you want to think about each character’s journey of change you could try a character arc. If you are planning a novel set in the future, the past, or a fantasy world it might also be useful to explore Story Planner’s world building plans. These will help you consider the details of your novel’s world before you start to write. We hope these planning tools will help you write a great NaNoWriMo novel. As a limited time offer we’re also offering a free story plan critique to every Story Planner Premium member who signs up for a year. This is only $40 and is another way to ensure you have an excellent plan ready before November. Story Planner is of course free, and always will be free for basic members, who can still explore and enjoy our novel writing plans. Good luck to everyone in November!